A Charles Sturt University (CSU) researcher believes the story of Indian ‘hawkers’, who plied their trade across south-eastern Australia in the late 1800s, is reflected in the current dilemmas facing migrants in regional Australia. Cultural heritage expert with the CSU Institute for Land, Water and Society, Professor Dirk Spennemann, has painstakingly gathered the stories of young men who came from the Punjab region in the north-west of the Indian subcontinent to help build the rural landscape of colonial Australia. “What they found was prejudice, fear, bureaucracy and depression, and a fledgling nation that was establishing the infamous White Australia policy. 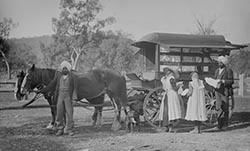 The Punjabi Indians arrived in Australia in the 1890s, as ‘guest’ workers, to earn money to send back home. ‘hawkers’, as intermediary salesmen to isolated farms. They did this in the NSW Riverina region and north-east Victoria, where the agriculture was different. They bought goods from a rural store, carried them on their heads (or later on wagons) and sold them to outlying farms. They numbered between 2 000 and 3 000, but only fit, strong men aged in their 20s and early 30s were allowed to migrate to Australia because no families, and particularly no women, were allowed to come with the men. They bought land, particularly near railway stations, to overcome local council objections to their parked wagons. In the mid-1890s, Australia was in economic depression, unemployment was high, and complacent Australian men of the day resented these fit, young, resilient Indians who worked hard. Australian men also believed Australian women would be threatened by these virile young men. Before Federation in 1901, Indians could move freely as British subjects into Australia. The Australian Immigration Restriction Act of 1901 restricted their movement to India – some influential Australians did not want them in the new nation. Punjabi Indians were from four religions – Islam, Hinduism, Sikhism, and Jainism. Only the Muslims married locally, usually to European women with children who were divorcees or widows. Very few Hindus or Sikhs married into Australian society. It is thought that this led to high rates of depression and suicide among the Indian migrants. Apart from Aboriginals, the Indians also brought the practice of funeral cremation to Australia. Reports in local and national newspapers reflect the controversy this caused at the time. Albury was the first town in Australia to officially allow cremation on a plot gazetted as a cemetery. This plot for the cremation ceremonies for the Indians was located at what has become Jelbart Park in Lavington, an Albury suburb. 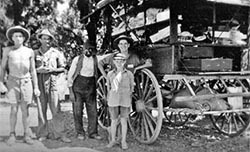 One of the last Indian hawkers died in Henty in 1951. Professor Spennemann said, “The assumption has been that the Indian hawkers were ‘thin on the ground’, that they left few marks in rural areas. However, there were many more Indian hawkers than previously thought. “The hawkers left their mark on the land. They bought cheaper plots of land to avoid objections to parking their wagons in regional centres, such as Albury and in smaller rural towns. They became ratepayers and landholders. “As former farmers in India, some also saw opportunities to revive their farming past and acquired farming land in order to leave hawking. “The hawkers faced marginalisation and racial prejudice. It was assumed that Australian women would be threatened by these virile young men. But despite the racism, the hawkers made a living because they provided a vital intermediary service between country towns and outlying farms. “In December 1901 the doors slammed shut due to the Australian Immigration Restriction Act. No more Indians were allowed into Australia. If you returned to India, even to marry, you could only do so with a one-time re-entry permit. “I discovered suicide rates among the Indians was three times higher than that of the Australian population at the time. It is a very sad twist. “On studying the Indian’s death certificates up to 1901, I noted they were cremated which was not practiced in Australia at that time, but it was the cultural norm for Sikhs and Hindus. In this regard, regional Australia led the way in accepting the cultural practices of these marginalised people. 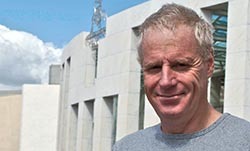 Contact CSU Media for interviews with Professor Dirk Spennemann, who is based at CSU in Albury-Wodonga. 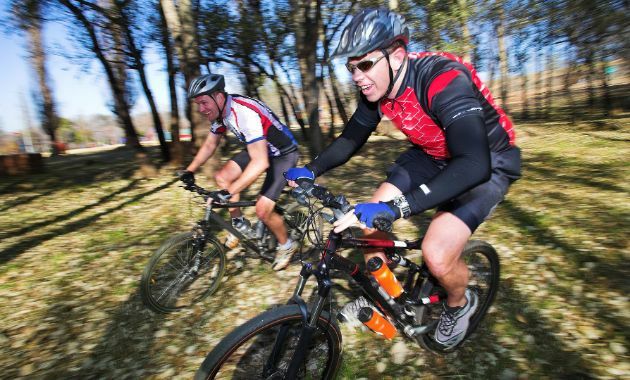 Also contact CSU Media for high res photos. Spennemann D (2017) Deaths and Cremations of Indian Hawkers in the Southern Riverina and North-Eastern Victoria until 1952. ILWS Report 97, Institute for Land, Water and Society, Albury, NSW, pp 1-55.